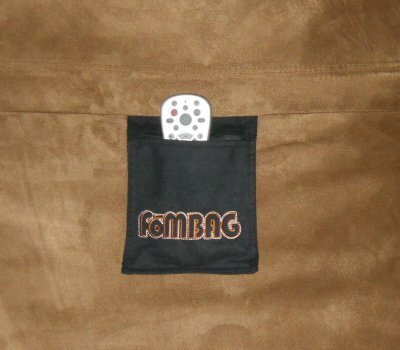 This convenient pocket connects to snaps hidden under the zipper flap of your Fombag cover. Use it to hold a remote control, or bottle of water (or other beverage) within close reach. Available only in black MicroSuede, which goes well with all cover colors. May not be compatible with older Fombag covers. 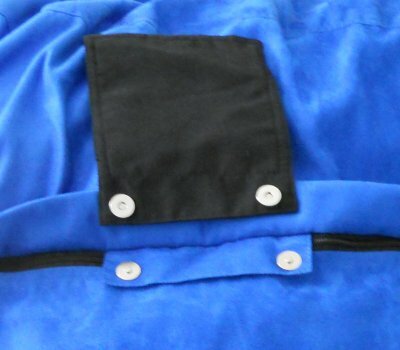 Check under your zipper flap to see if your cover has the needed snaps to attach to.